As in many other parts of the world, domestic work in India is performed under precarious conditions. Low wages, long working hours, low status, and the absence of legislation that guarantees fair terms of employment are realities that confront India’s domestic workers on a daily basis. Domestic work is one of the largest sectors of work in urban areas in India. At the same time it is one the most stigmatized and lowest paid occupations. The fact that this work is mainly carried out by women, and also by poor and illiterate migrants from lower caste groups, has contributed to this stigmatization. In this IMER seminar, Padmaja Barua will present findings from her doctoral research in India. Over a period 10 months, Barua spent time with both domestic workers and their employers, and with a trade union that works with domestic workers in Mumbai. Her aim was to critically explore the relationship between women engaged in paid domestic and their employers, and also the relationship between these women and organizations that seek to advance the empowerment of these women. In this presentation, she will specifically explore how domestic workers respond to the cultural beliefs that seek to sustain their subordination, and the impact that unionization has had in the lives of these women. The seminar takes place at from 12.30 to 14.00 on Thursday the 2nd of November. Venue: The Department for Comparative Politics, Christies gate 15, seminar room at 2nd floor. A lunch will be served. Welcome! 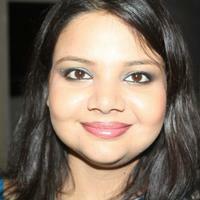 Padmaja Barua is a PhD candidate at the HEMIL Center, Faculty of Psychology, UiB. This entry was posted in Seminar on October 23, 2017 by olav.